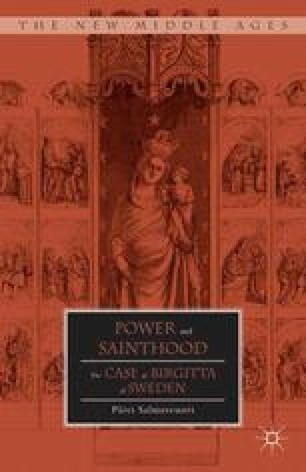 In the twelfth- and thirteenth-century Sweden, both the state and church were relatively young phenomena and they were only gradually taking shape.2 The church’s activities were changing from a more missionary character to better reflecting an established institution. Sweden was invested with its first five episcopal sees, in Skara, Linköping, Uppsala, Strängnäs, and Västerås. In 1164, Uppsala was made the archbishopric, while the sixth Swedish bishopric was established in Turku3 in 1200. The clergy was educated in continental universities such as Paris and Köln; in the fourteenth century, Prague also became a popular educational center.4 Consequently, influences from abroad were vigorous.